Envirothon started in Pennsylvania in 1979 as the “Environmental Olympics” hosed by PA soil conservation districts. It grew from there and later became known as “Envirothon”. Maryland joined in 1990 and hosted the National competition in 1992. In 2003, Maryland hosted again, and our most recent hosting was in 2017 at Mount Saint Mary’s College. Teams from over 50 US states, Canadian provinces, and even as far off as China competed. MPT’s Maryland Farm & Harvest followed some of the Maryland team in this video. 2004 Mt. St. Mary's University Montgomery Blair HS Montgomery WV 11 (51) Natural Resource Management in Urban Env. We thank you for your support – without your assistance, the Envirothon would not be possible! 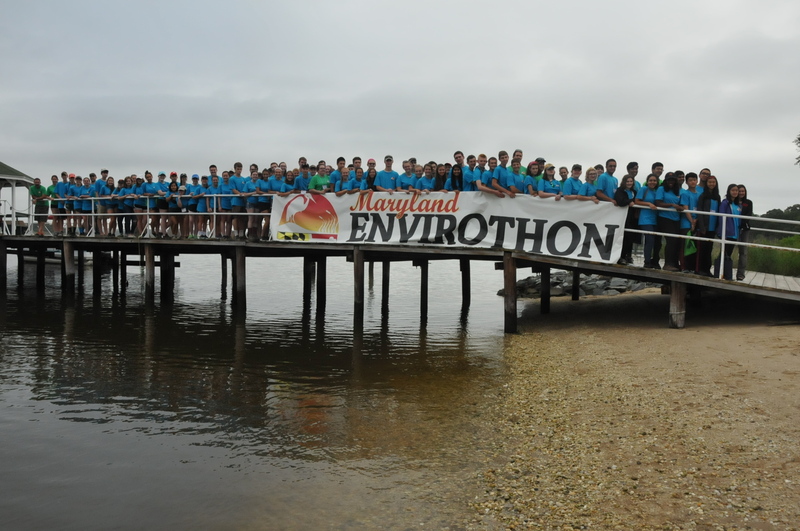 If you are a Maryland State Employee you can now donate to the Maryland Charity Campaign that will go directly to the Maryland Envirothon.